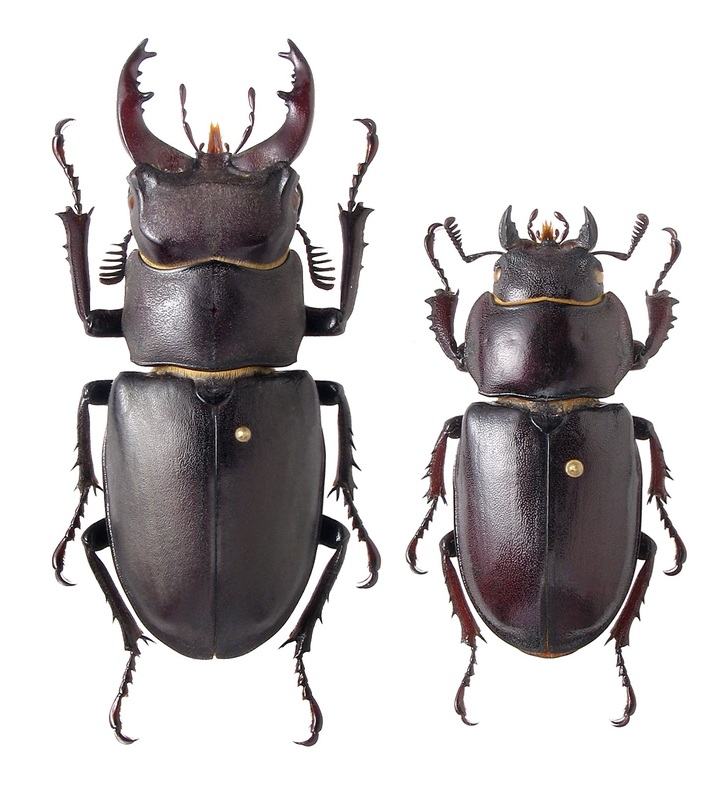 HOW DO I IDENTIFY THE DIFFERENT LUCANUS SPECIES? 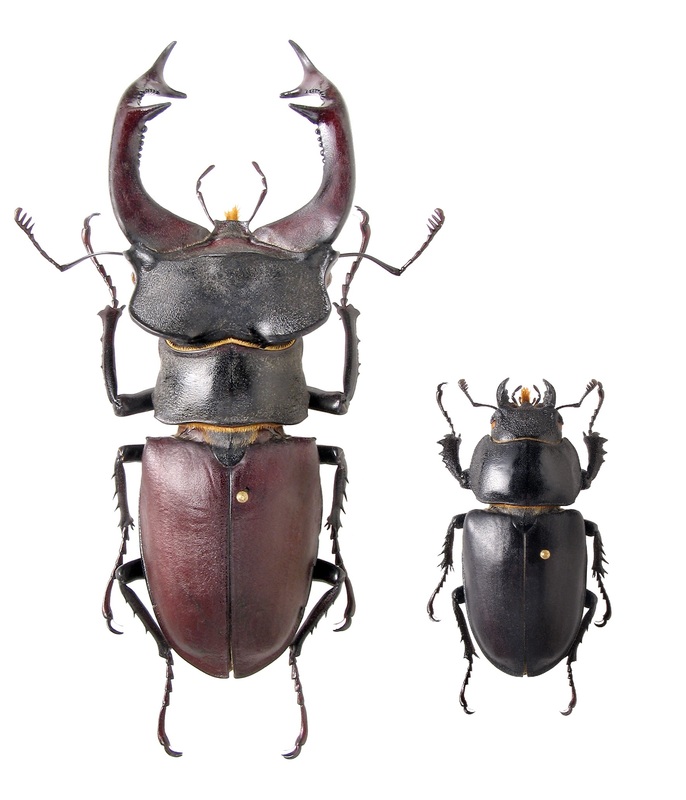 In Europe, five different Lucanus species occur, L. cervus, L. (Pseudolucanus) barbarossa, L. pontbrianti, L. tetraodon and L. ibericus. 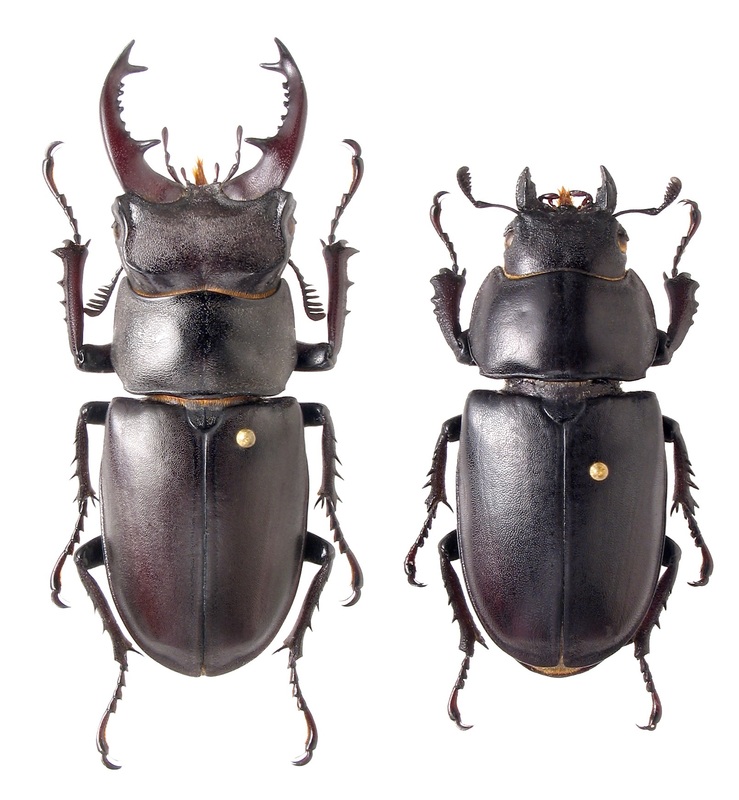 Not all species share the same geographical distribution so depending on the location of your transect walk you will be able to find one or more Lucanus species. For transects were multiple species occur we have a detailed description and identification key of each species below. If you still have trouble identifying these specimen don’t hesitate to ask for help from the country responsables. When monitoring a transect, it can be extremely difficult to determine the different Lucanus species, specially when an animal is in flight! In this case you can note the unidentified specimen as Lucanus spec. A trained eye might distinguish these different species mainly based on their general form but this might be more difficult for people that have never tried to distinguish these species. A first ting to look at is the number of antennal lamella at the end of the antenna. L. cervus has in general 4, but 5 can rarely occur and 6 or 7 are very exceptional. Only in Greece, Bulgaria and the European part of Turkey, populations occur with entirely or predominantly 6 lamella (the so called turcicus form). This species has the largest variability in size (M: 25-92mm, F: 27-50mm). The male mandibles are long compared to all the following species and has many denticles at the inner side. The large median tooth is positioned over the middle of the mandible and the apex (end) is mostly bifid (splitting in two end points). The body is slender and of a dull color. The pronotal side is not sinuate before the blunt posterior angle. This species is sometimes classified in the separate subgenus Pseudolucanus. This species is found in Spain, Portugal and Morocco and some populations have been found in France near the Spanish border. 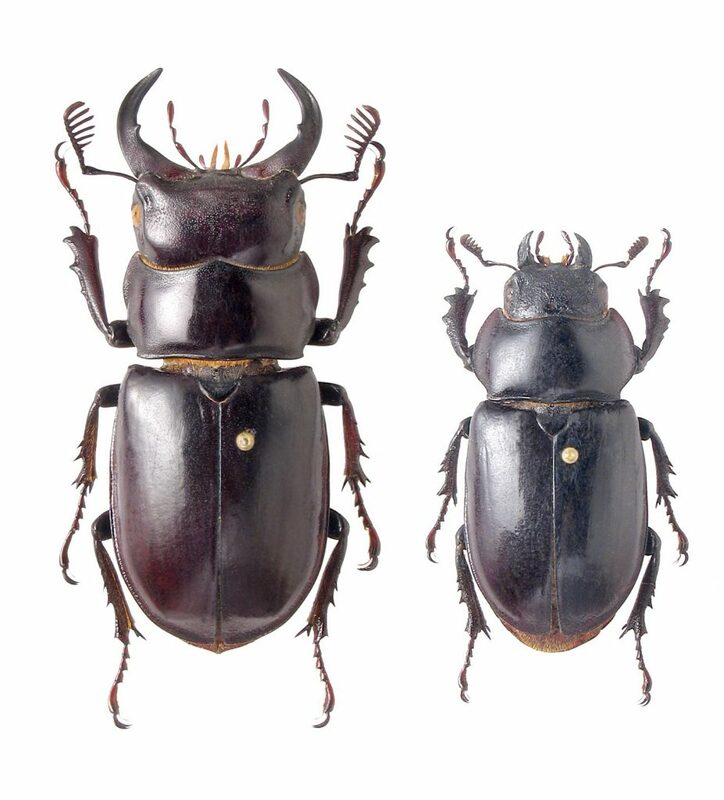 This species is in general smaller (M: 28-45mm, F: 20-38mm) than L. cervus and the male mandibles are much shorter, roundly curved and with only one small tooth in the middle. This species has 6 antennal lamella which are longer than those of L. cervus. The body is stout and more shinny compared to L. cervus. The pronotal side is strongly sinuate before the posterior angle. This species can be subdivided in different subspecies based on different geographical regions: the main form is found in the southern part of the Italian mainland and the coast of Albania and Greece while three other forms are found in France (Var), Corsica and Sicily. Also this species reaches less large (M: 30-55mm, F: 30-43mm) compared to L. cervus. Mandibles of male L. tetraodon are a bit shorter, broader and the median tooth is found before the middle of the mandible. This species has 6, rarely 5, lamella on the antenna. The lamella are a bit longer than those of L. cervus. The body is stouter than L. cervus. The pronotal side is sinuate before the quite sharp posterior angle. 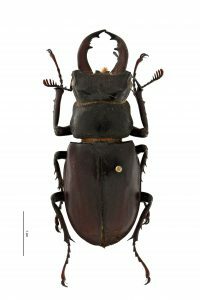 This taxon is only recently accepted as a separate species as it was long considered as a subspecies or form of L. cervus. It mainly occurs in the South of France but some populations occur in Spain as well. This species reaches less large compared to L. cervus and mandibles of male L. pontbrianti end with a single apex. This species has 5 lamella on the antenna. More info on this species will follow soon as currently a scientific paper on this species is written.